Our dogs and puppies are fed Quality Dog Food that is all natural, and never had any recall – that is why I highly recommend this high quality dog food. 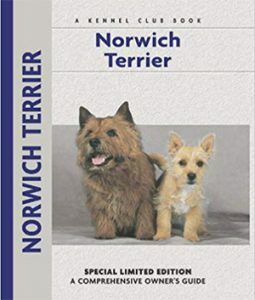 Good Reference to the Norwich Terrier Breed. All our dogs and puppies are given NuVet Plus Supplements. 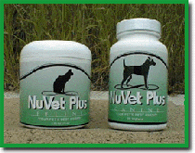 NuVety Plus Quality Vitamis for dogs & cats. 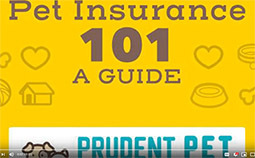 Why should I get my Terrier fixed? The best way to avoid the problem of unwanted pets, and the kindest thing you can do for animals generally, is to make sure that your dog or cat is spayed or neutered. This will cut down designer breeders and will cut pet over-population, which is the number one problem for animals in America. This will save animals from roaming through streets and dogs that are unwanted. But surely my one Terrier will not make a difference? One un-spayed female cat is actually capable of generating a family of 85 million in 10 years!!!! It will make a difference. And it will also make your life much easier. 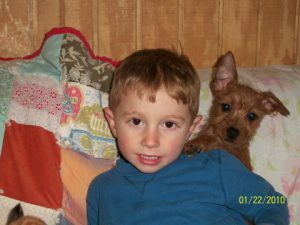 Will spaying or neutering affect my Australian Terrier or Cairn Terriers behavior? Will female dogs and cats miss having puppies or kittens? No…. mother dogs and cats care for their young for a few months until they’re weaned, but then usually have nothing to do with them. I feel uncomfortable getting my male pet neutered. I would not want that done to me! Your animal companion is not you. His psychology and biology are quite different. His hormones developed in the wild produce as many offspring as possible so his species could survive. In the modern world, this only adds to the total of the unwanted animals that live a miserable life of suffering in a field somewhere. Would a Female DOG be better pet if she has had one litter? Not having puppies makes no difference at all to a pet’s temperament. That is taught when imprinted from young on up. All my Norwich Terriers are imprinted an socialized from the start. Will spaying or neutering affect my pet’s health in any way? YES! It will improve the health of your pet. Studies show that spaying a female before her FIRST HEAT reduces the risk of mammary breast tumors or cancers. In males neutering reduces the risk of prostate cancer in older animals. SO GET YOUR PET SPAYED OR NEUTERED IT IS THE ENLIGHTENED, RESPONSIBLE, AND RIGHT THING TO DO GET A GOOD QUALITY TERRIER FROM A BREEDER WHO REQUIRES SPAYING/NEUTERING.